What are Refurbished / Referbish Phones? The process that refurbished the phone is different for many different parts. First, to test the position of each component of the phone, it is tested through an examination. For example, the condition of the screen is checked and the quality of the battery is tested. Essentially, the entire phone is tested to see if there are some issues in the performance or not. If any such part is found in which there are some issues, then they are either fixed or replaced by a new part. The device is tested again to ensure that it can match the high standard of a new phone. During the process, the device is constantly cleaned. Once the phone's hardware reaches its standard, then the previous data in the phone's software is completely erased, and the operating system is reinstalled. So you get a phone with the original software settings of a new phone which is standard of a new phone. So what are the refurbished phones good? Yes it can be good if they have been refurbished in the right way. As mentioned above, a refurbished phone is of the same standard as the new phone, because any unsatisfactory component has been fixed or changed. In addition, a refurbished phone has a lot of potential for less problems than new phones. It may seem weird, but it is easy to understand this thing. A normal new phone would go through all the normal quality checks. However, the refurbished phone goes through these checks twice, once it was new, and the second time when it was being refurbished. Why refurbished phones are so cheap? Refurbished phones are cheap. You get 20-50% discount and sometimes more than that. There are two reasons for refurbished phones to be sold cheaply. First of all, as we have already discussed, some parts may be repaired during refurbishment of the phone. Despite checking that all the functions of the phone are running properly in order to keep the phone in top condition, and despite having completely cleaned the phone, you can not avoid the fact that the phone used someone else's medication has gone. So people will not buy refurbished phones in the price of a new phone, and therefore the cost of refurbished phones should be low. Second, the best deals you get on refurbished phones come from those models that were launched 1-2 years ago. Afterwards the phones are considered out-date and due to the new models available in the market, the market value of the refurbished phone will fall. Therefore, there is a great discount on refurbished phones. So if you are going to buy a latete phone, then buying a refurbished phone is a very cheap price. 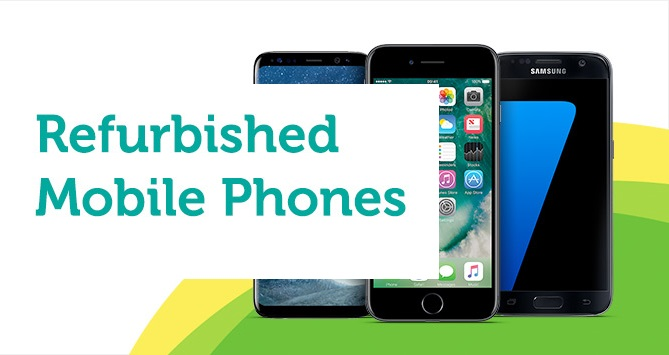 And if you are happy with some older models, then you can get a big discounted price on refurbished and tested phones recently. They should definitely be with warranty. If you are buying a refurbished phone, and refurbisher does not provide warranty, then they are probably not a quality refurbisher. Most referrs give warranty with their phones. Period of warranty given by Refurbishers is different. For example, Apple offers a full warranty with refurbished iPhone, as they do with the new devices of their brand. It is common with many original device manufacturers. Many third-party refurbishrs offer a 30-90-day warranty, and ask for a little extra payment to increase the cover for up to 1 year for 6 months. Big question! And we think it's easy to answer. If you need a new latest phone, and you have a budget, then you should buy a new phone. And if you do not have a budget then buy a refurbished phone.